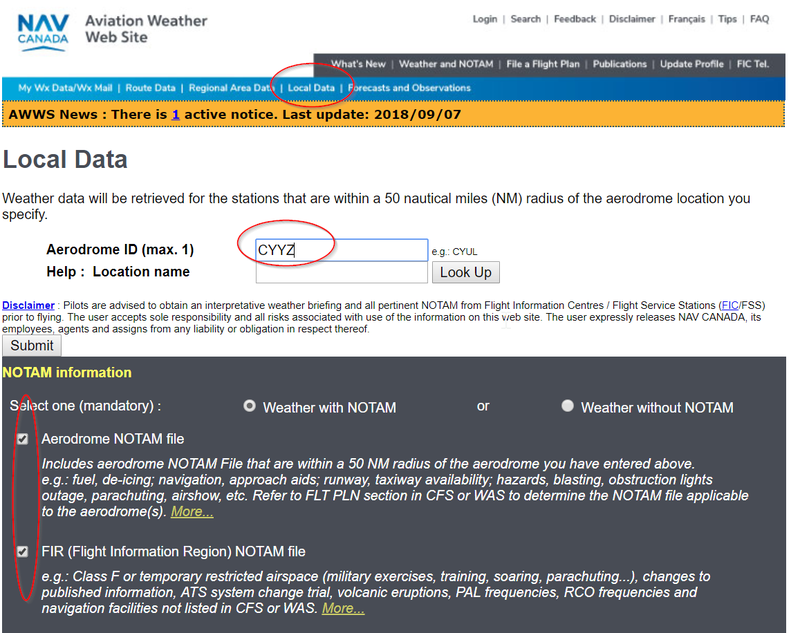 Transport Canada provides NOTAMS via their Aviation Weather Web Site (AWWS). As the authoritative source for up-to-date changes to aviation documents TC via AWWS requires airmen through CARS to check and interpret these. 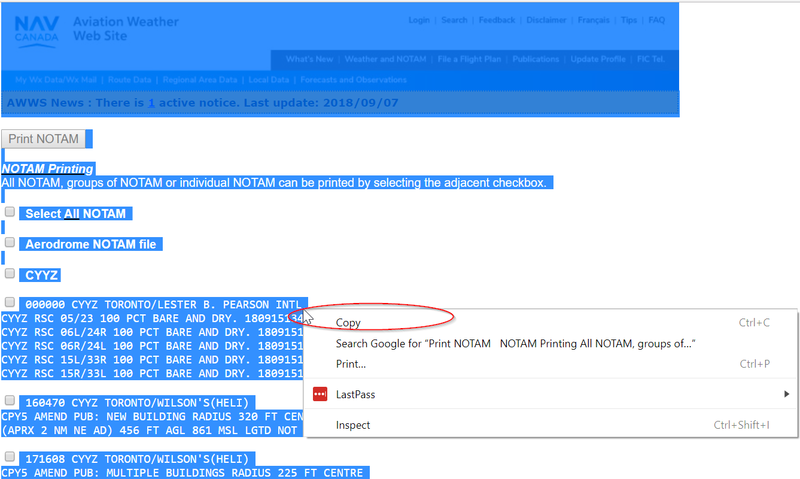 The challenge is that the notams reference LAT / LNG coordinates but are difficult to actually interpret. The issue is further challenged by the non-standard nature of the way they are documented. 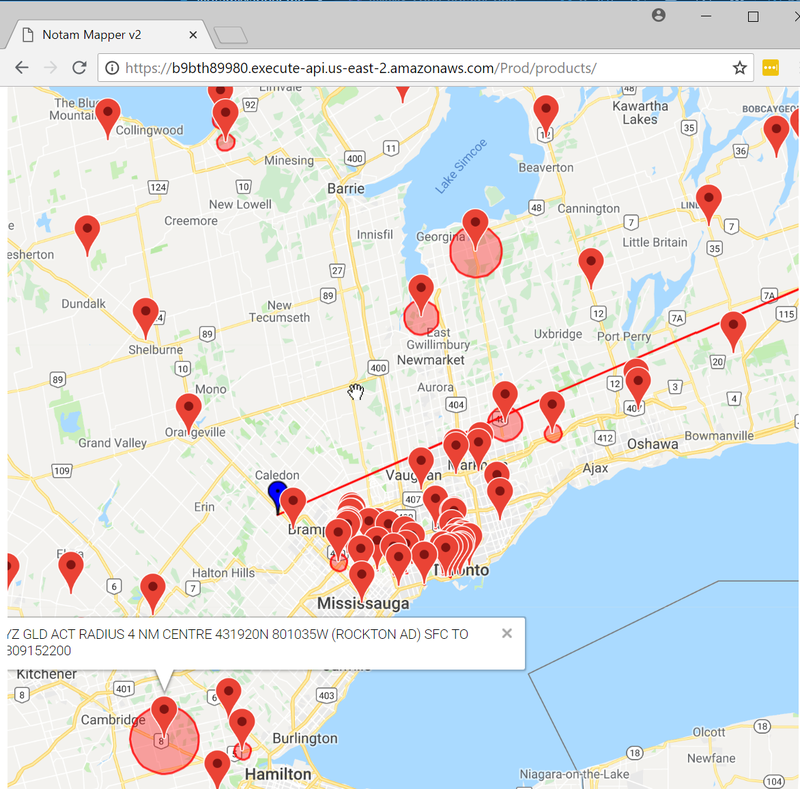 Since i'd like to know where that new crane, or a para-jump location and radius are exactly i've wrote the notam mapper to help. I always still read all the notams but will then use the mapper to visualize as many of them as possible. WARNING: The mapper drops anything it can't parse and it still alpha quality. 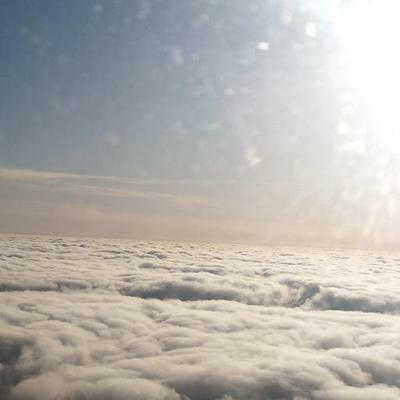 Therefore it cannot be solely relied upon. Use it only as an aide, don't be foolish! Access it here in all it's plain user interface glory. Instruction as are below. 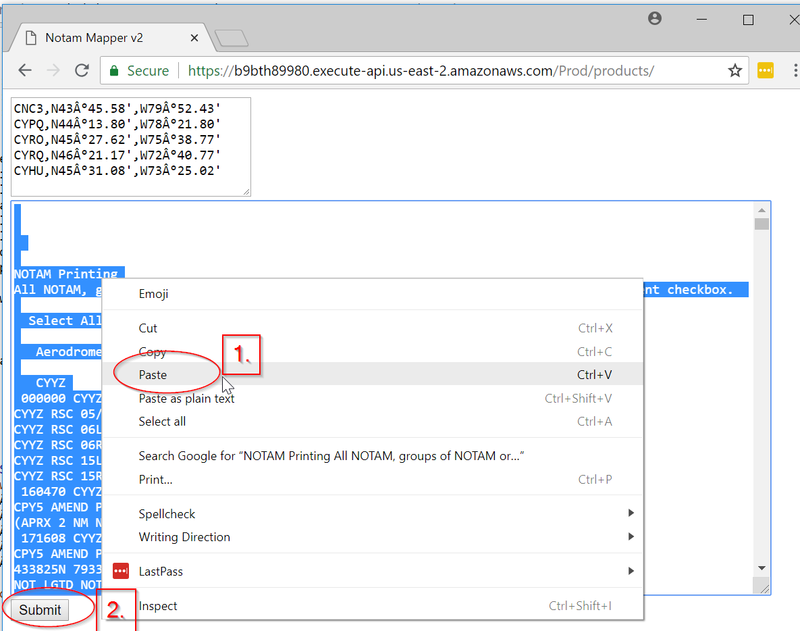 Visualize mapped notams. WARNING: Anything that could not be "parsed/decoded" was ignored. This is not a substitute for reading your notmas. Don't be foolish! Populate your flight plan box in the correct format (one point per line). NB: Change the slash (/) to a comma(,). No spaces.